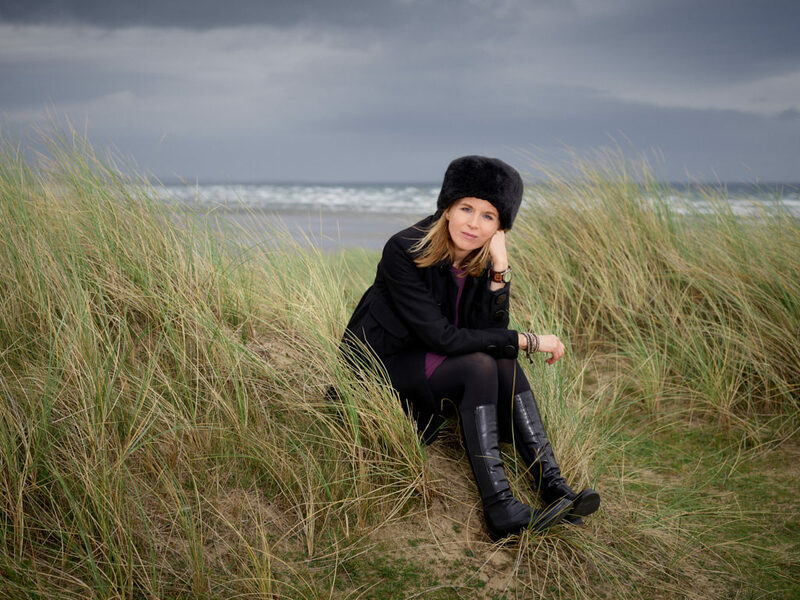 Deirdre McKay (born 1972) is a Northern Irish composer who creates acoustic compositions for a range of chamber and large ensembles including orchestral, choral and dramatic works. For the past two decades her practice has been shaped by a blend of the intuitive and the analytical. She pays keen attention both to what the ear hears and to the discipline of structure and pattern. The result is a unique musical language comprised of spare, diaphanous textures at one extreme, and mesmeric, perpetual energy at the other. Her field of exploration is the myriad states and gradations that exist between these poles. Aspects of stasis, and the entrancing nuanced states to, from and within, frequently trace as an emotional plumb line in her work. Compositions such as Meltwater for string orchestra, Snowline for string quartet, and Ice Etchings show the enduring influence that the natural world – its patterns and weathers – has on her work. She also draws inspiration from works of visual art and literature with a contemplative, pared-down focus and enigmatic beauty, citing the work of Wolfgang Laib, Mark Rothko, Samuel Beckett and Louis le Brocquy as visual and literary influences on her aural aspirations. Collaborative partnerships have included work with visual artist Jean Duncan and writer/actor Richard Dormer. She has completed many commissions in the UK and abroad including an opera short for Northern Ireland Opera’s London 2012 Olympic Celebrations, new works for State Choir Latvija, Chamber Choir Ireland, Irish Chamber Orchestra, Ulster Orchestra, the Vanbrugh, RTÉ Con Tempo, Norwegian Vertavo and Swiss Terpsycordes string quartets, Boston Firebird Ensemble, pianists Antti Siirala and Andrew Zolinsky, Chloë Hanslip and Danny Driver, Concorde and the Crash Ensemble. I am so, so grateful to receive this incredible award from Paul Hamlyn Foundation. The hugely generous financial support it offers goes far towards building a cave to retreat to for the next few years, supporting total immersion in the new work - inviting the mind to go deeper, to draw from deeper wells, to create with more crystalline clarity and ultimately, to return to the gifting of this extraordinary award, braver, better works. I feel so indebted to Paul Hamlyn Foundation for their support and prodigious generosity. One hundred million thanks. Violin (Chloë Hanslip) and piano (Danny Driver). 6 minutes 44 seconds duration (extract 2m 08s). Opera short; tenor and large ensemble. 15 minutes 53 seconds duration (extract 2m 11s). Commissioned by Northern Ireland Opera to a libretto by Richard Dormer. BBC Radio3 live recording of Robin Tritschler (tenor) + Ulster Orchestra players, conducted by David Brophy (2014). 9 minutes duration (extract 1m 53s). Commissioned by RTÉ Music for the RTÉ Con Tempo string quartet. BBC live recording. Commissioned and performed by Chamber Choir Ireland, conducted by Celso Antunes. 5 minutes 30 seconds duration (extract 2m 19s).